This episode begins begins with the fierce fires burning in the hills around Los Angeles and moves to the flames of trouble newly ignited in the divided city of Jerusalem. Then it descends into the more personal crises and wounds tearing at the heart of culture. 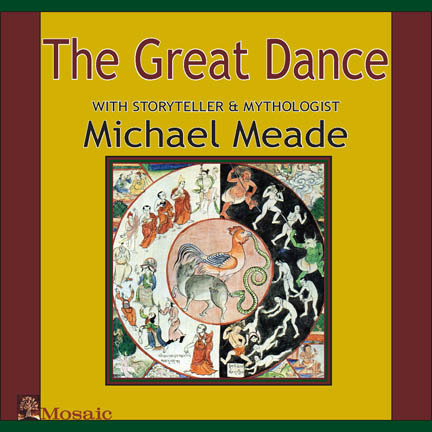 Meade works into the deep ground of poetry in order to find ways of genuinely witnessing the widespread revelations of betrayal and corruption in the halls of power and the corridors and backrooms of institutions. Meade asks: Are we not in that moment when the veil lifts and deep levels of wounding are uncovered. And the betrayal appears not simply in the denial that it happened at all, but also in the cultural sanctification of it? And are we not in a moment that calls for deep healing and a cultural shift that views each soul as noble and renews the sense that each person deserves dignity and respect.